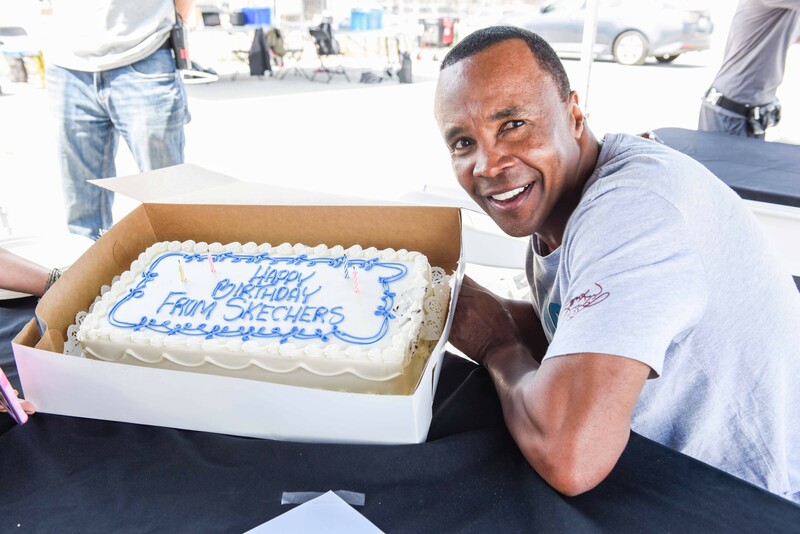 Boxing legend Sugar Ray Leonard is back in the ring in an all new commercial for the super comfortable Skechers with Air-Cooled Memory Foam footwear collection. Filmed on location near downtown Los Angeles, the shoot happened to be right around our favorite boxer’s birthday and of course we had to celebrate. Can you believe he has reached the ripe young milestone age of 60? Age means nothing to the star athlete who proved that he’s in far better shape than most people half his age—and certainly everyone else on set that day! Go behind the scenes with Sugar Ray as he explains how much he and his entire family love the comfort of the new collection. Plus, get word from the man himself on why he returned to boxing after originally retiring at 25 and his current focus in life. As he explained to us, “I’ve been blessed in more ways than one and if I made an impact in the ring, I want to make an even bigger impact outside the ring by helping others!” These days Sugar Ray is making a difference through his Sugar Ray Leonard Foundation by raising awareness and funding research for pediatric type 1 & 2 diabetes plus promoting active lifestyles for kids. He has also appeared at the annual Skechers Pier-to-Pier Friendship Walk benefiting children with special needs and education. We’re fortunate to have this motivated, fun and inspirational legend back in our corner on a new campaign. Check out Sugar Ray’s complete commercial for the Skechers with Air-Cooled Memory Foam below. Watch and see why a man who understands the importance of footwork things Skechers is the undisputed champion of comfort. If you’re a fan, let us know your favorite Sugar Ray fight moment in the comments! With back-to-school in full swing, we have a lot of parents visiting our stores to grab new shoes for their kids’ growing feet. Much of mom’s and dad’s attention focuses on what styles to buy for their little ones (More Skechers Memory Foam sneaks for boys and girls? Twinkle Toes, S Lights or Skech-Air? Mega Blades and Game Kicks for fun? So many options!) 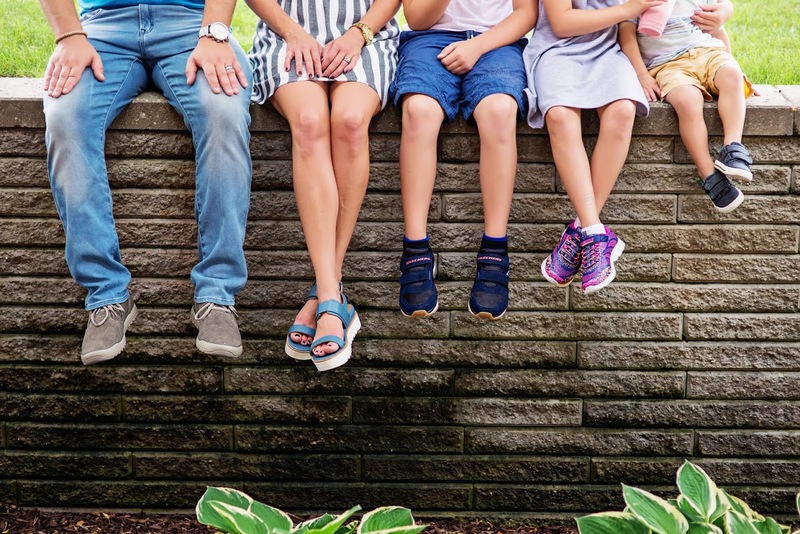 but many parents overlook one of the most crucial elements of shoe shopping: the importance of properly sizing your kids’ feet. After all, running in shoes all day long is serious business! 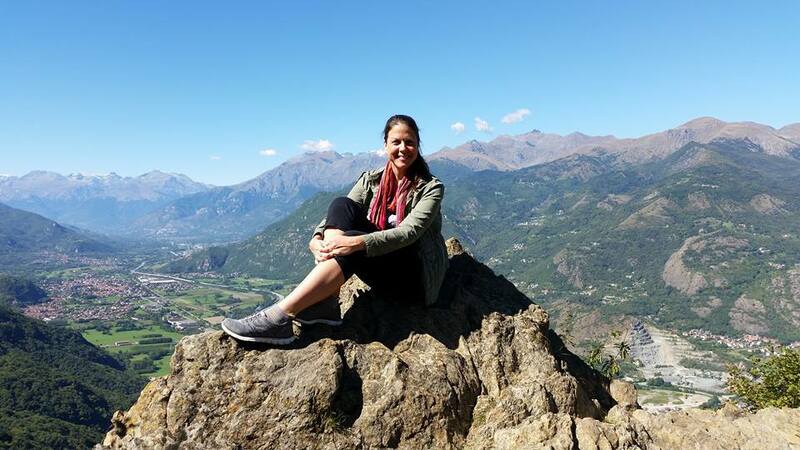 If you want to get into the science of it all, our kids are actually born with cartilage in their feet, which doesn’t completely become bone until they’re around 16-18. A good fit tester will tell you that it’s not just where your toes are, but also the width of your foot, your heel shape, arch support and more. So where to start? 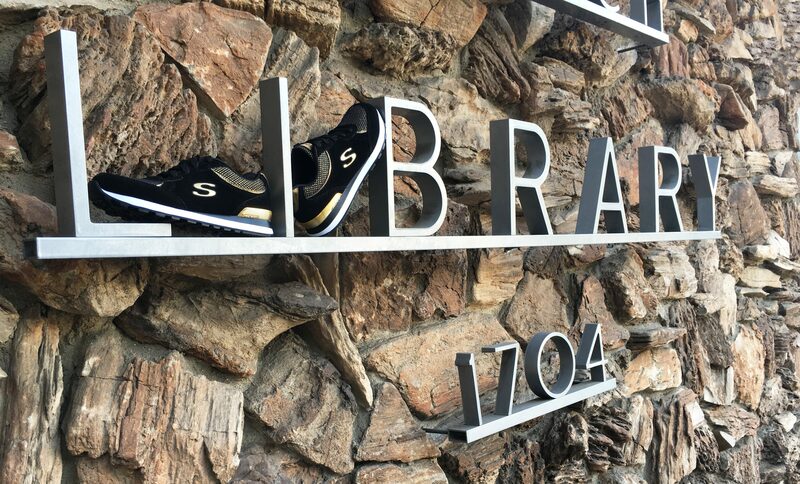 Skechers stores are one great option, where our associates can help parents find comfortable shoes for their kids. Believe it or not, sizing is a lot more fun than it used to be! 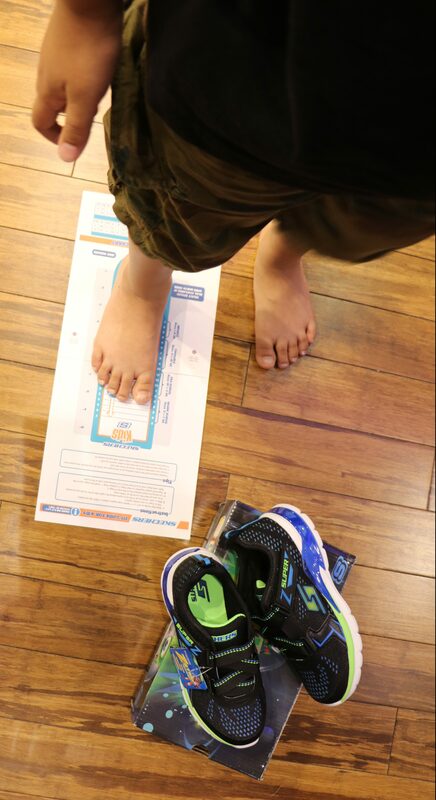 We still have tools like the Brannock Device (you know, that old school metal contraption you’d stand on) but now our stores also offer a much more fun way to size kids’ soles. 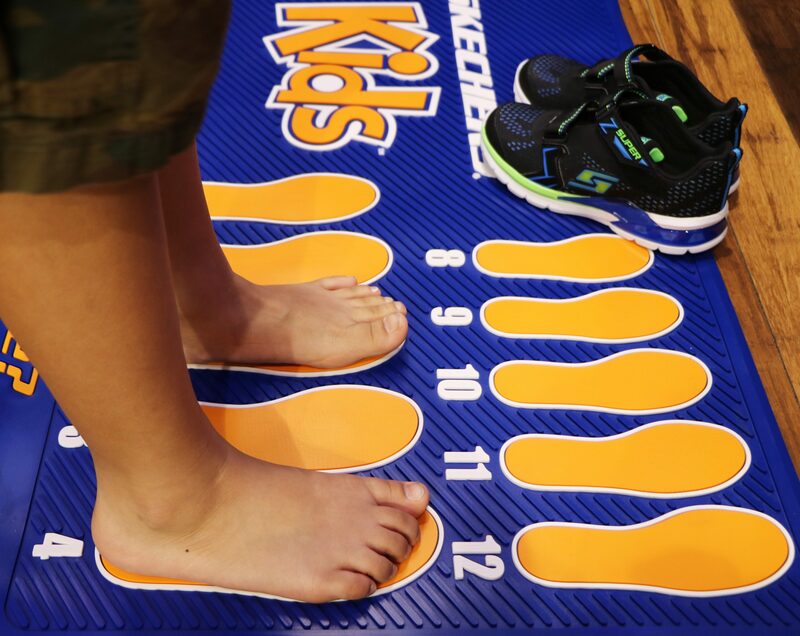 Our colorful blue Skechers Kids mats have bright orange footprints that are fun for kids to jump on, and they measure their feet in seconds flat. A lot more kid-friendly, which makes for a much happier shopping experience. But what happens if you’re at home and want to buy your kids’ shoes online in the comfort of your home? 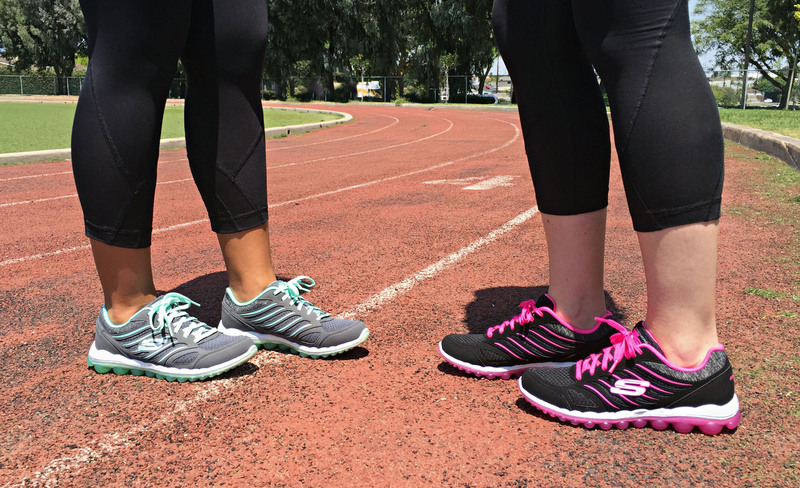 No fear, Skechers has found a way. Enter the Skechers Fit Guide: a quick and easy way to get your kids’ feet sized up right at home. All you need is a printer, ruler, scissors, some scotch tape and voila – your very own foot sizer! 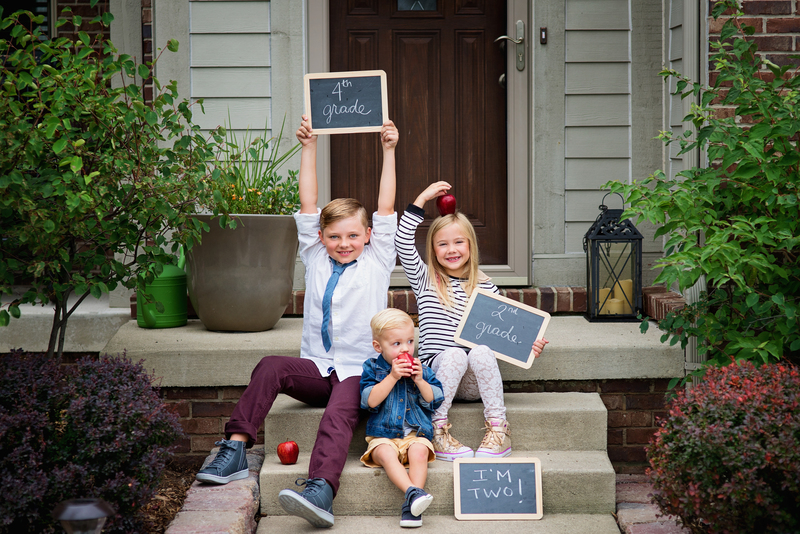 – Measure kids’ soles while they’re standing. 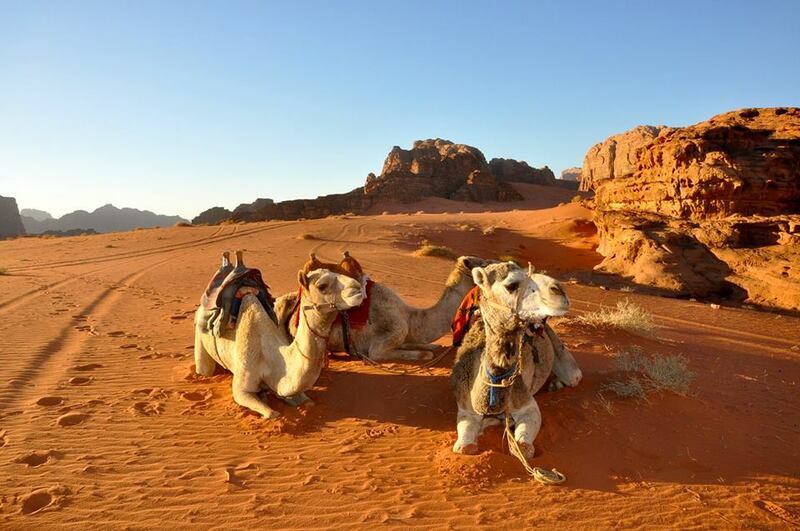 – Make sure to measure both feet, and order the size that fits the longer foot. – If your child is between sizes, always get the bigger one (remember, their feet grow fast!) or you can buy a shoe that’s up to a half size over your kid’s current foot size to give yourself a little more time before you have to head back to Skechers for the next pair. – Keep an eye out for the blue borders on our Fit Guide – if your kid’s feet overlap onto them, Skechers also offers select children’s styles in wide width sizes, which may be a more comfortable fit. Once you get your kid’s shoes, there are additional ways you can make sure that they’re a great fit. Check where your child’s toes end, and make sure that there’s a half a thumbnail width from the end of the toes to the front of the shoes. A lesser known but equally important tip: see if the widest part of your kid’s feet is in the same place as the widest part of the new shoes. It’s important that shoes flex in the right place on your child’s feet, which can only happen if they fit properly and aren’t too big. Ready to measure your kid’s soles at home? Let us know how it goes!